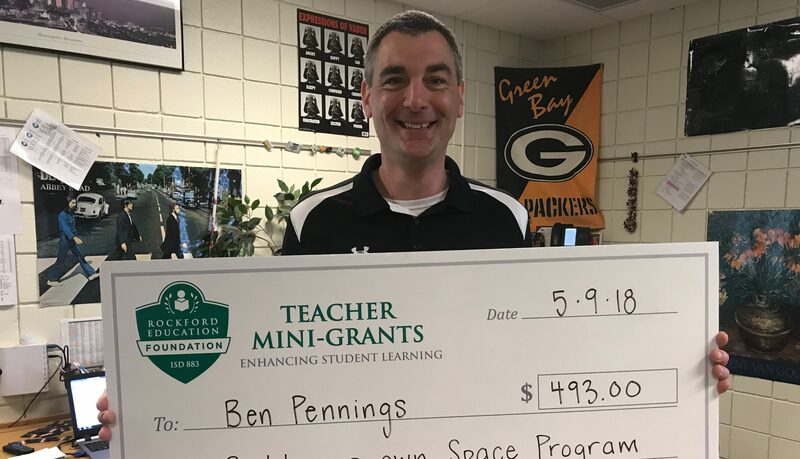 Mr. Pennings was awarded $493.00 for a new exploratory class for the 2018-19 school year! This game is a STEM magnet dream! Students are immersed in challenges where they learn problem-solving skills, the impact of gravity, physics, weight, as well as the basics of rocketry and mechanical design. Once in “space” students must then include a zero-gravity environment to their design process along with life support capabilities for their “Kerbals” (Little Minion looking things that make up your team). This grant funds 27 seat licenses of the Computer Simulation “Kerbal Space Program” that will be installed in the STEM/102 lab of RMS-CES. It can be used for Grades 5-8 STEM Classes and Grade 7 Exploratory.